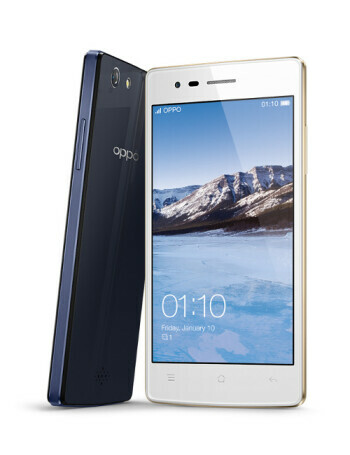 The 2015 variant of the Oppo Neo 5 isn't a grand departure from its predecessor. The 4.5-inch, 480 x 854 display of both models is rather low-res compared with many rivalling products, while each offers a meager 1GB RAM, along with a 2000 mAh battery. Where the first Neo 5 offered only 4 GB of on-board storage, though, the Neo 5 (2015) bundles 8 GB, which could make all the difference to those who always seem to run out of real estate. Additionally, the Neo 5 can be expanded by means of the microSD slot, which supports cards of up to 32 GB in capacity. The phone runs with MediaTek's quad-core MT6582 SoC with dual-core Mali-400MP2 graphics. The Neo 5 (2015) doesn't include LTE.